There are a lot of options for bipods on the market today. 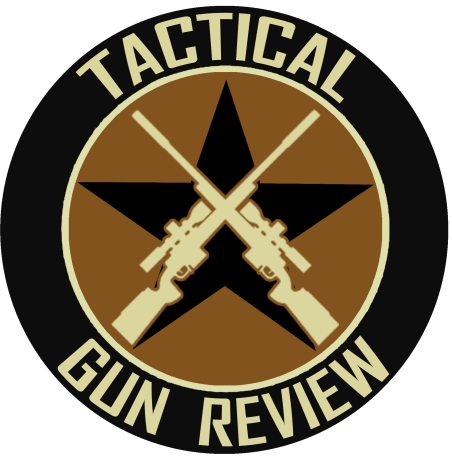 From the basic Harris to several high end options including my favorite, the Accu-Tac SR-5 QD. 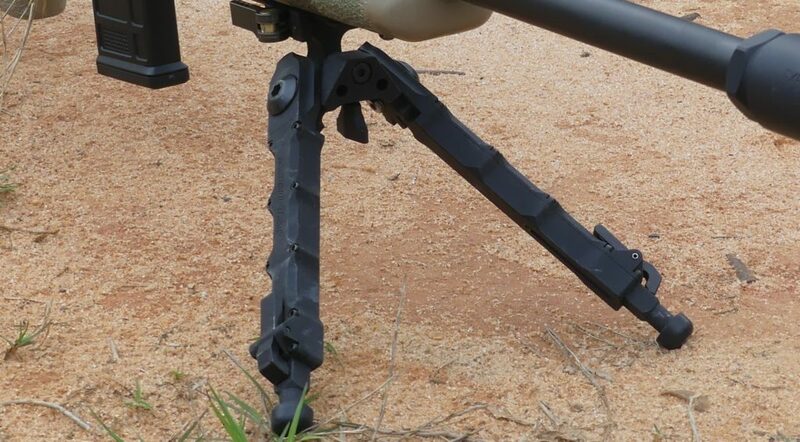 So, what do want in a bipod? 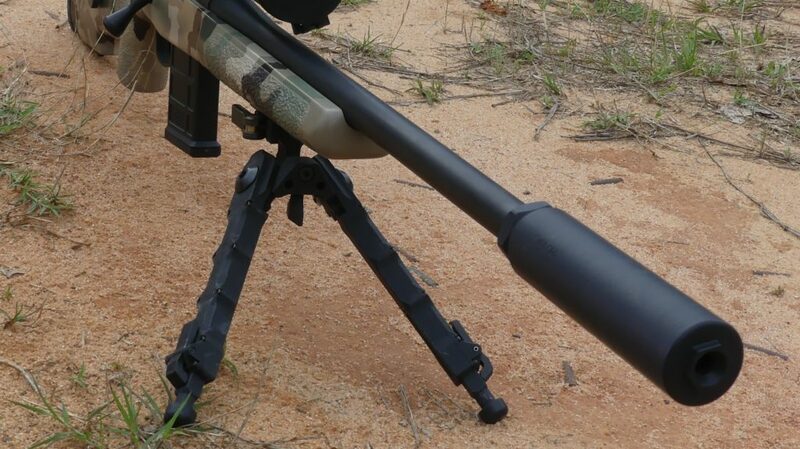 First and foremost it needs to provide a rock solid, stable shooting platform. That is it’s primary goal. If it doesn’t offer an ultra solid rest the rest of it’s features are simply irrelevant. So, how does the Accu-Tac SR-5 QD perform? In a word, perfect. 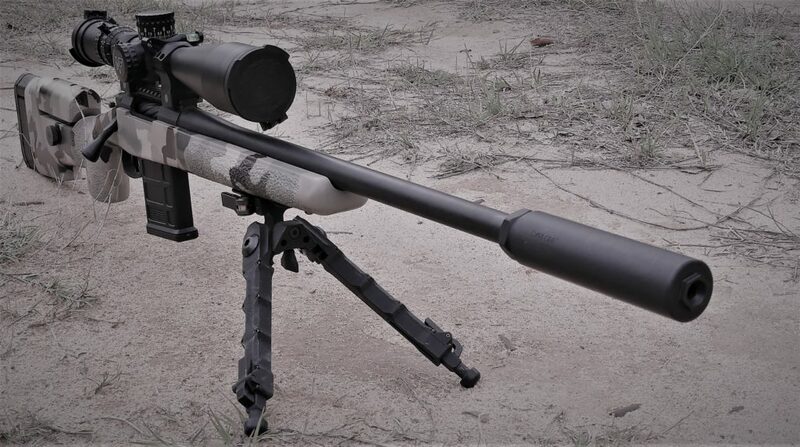 I have ran this bipod on several rifles, bolt action 6.5 Creedmoor, 308 and a semi auto 6mm Creedmoor. What else do I want? Well, it has to be reliable of course and well made. It also needs to be easy to use… if it is a pain to actually use then you aren’t going to want to use it. I am happy to report that I really like how it operates. When you want to deploy it you simply grab a leg, pull on it, set the desired angle (45 or 90 (straight down) and release). If you want a different angle, simply pull, rotate and release. Same thing for when you are done, pull, put the legs parallel to the rifle and release. The legs can be positioned forward or rearward, I think that is a cool feature. If you need additional height you can pull on the smaller legs with the feet attached at the end and you have 4 notched positions in .5″ increments. To retract, simply flip the lever at the bottom of the main leg, they are spring loaded and will retract. It also features a tilt function with a tension setting knob that works very well. It is easy to dial in just the right amount of tension so that it can be tilted for uneven terrain but won’t rotate on it’s own. It also features a QD mount for 1913 Picatinny rails that is tool less and can be adjusted for the proper tension as well. 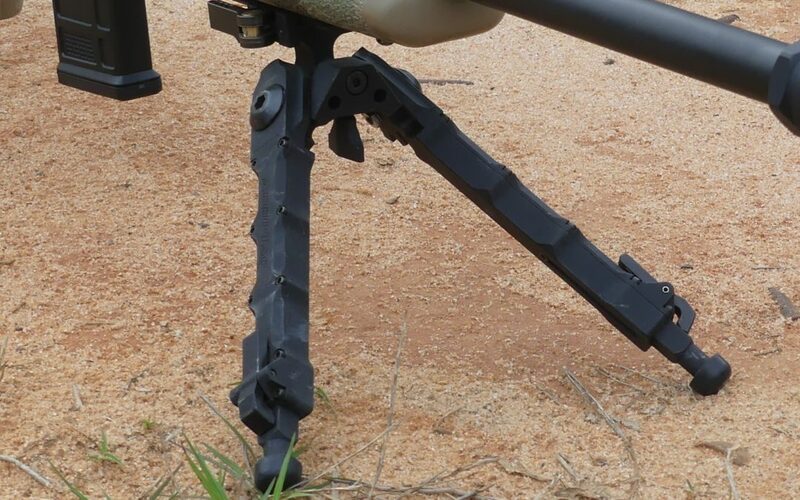 I am very impressed with the Acc-Tac SR-5 QD bipod and see no reason to consider changing and it has replaced a few other high end options I have. I would give it 5 stars and highly recommend it.